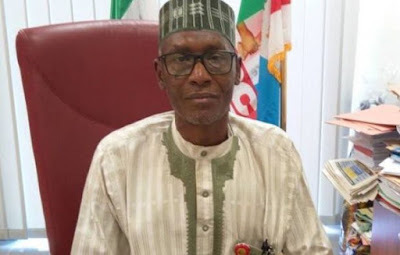 The Senator representing Taraba Central Senatorial district, Yusuf Abubakar Yusuf, has attributed ethnicity and religion as reasons for ceaseless killings in Taraba State. He said what started as ethnic crisis has now snowballed into political and socio-economic crisis, thereby making the crisis in the Taraba a multi-dimensional one. Speaking with select journalists in Abuja, Tuesday, the lawmaker stressed that the state Governor, Mr. Darius Ishaku has what it takes to tackle insecurity, but has been surrounded with incompetent aides. “The State Governor is a good man who can tackle insecurity in Taraba, but he has incompetent advisers who knows next to nothing. “The issue of insecurity in Taraba State is multi-dimensional and in my opinion, they may be political, socio-cultural, religious and ethnic reasons. “It might be very difficult to pinpoint only one reason as responsible for insecurity in Taraba State and I am not happy about that especially the recently communal crisis between Tiv and Jukuns. The lawmaker said, until genuine causes of Taraba crisis were identified, there would be nothing short of solving the crisis. Speaking if creation of State Police would solve the problem, he said: “I don’t support creation of State Police. We may need it but not now. No State and not even Lagos can fund State Police because we are battling to finance health, education and other infrastructure”. He insisted that Nigerians and their leaders must rise above ethnic irredentism and religious bigotry not only in Taraba, but other places, crisis would not cease. According to him, corruption and the lack of Education has made some people vulnerable to committing crimes. “We can do away with these ills and you know this country is bedeviled with a lot of corruption. We can do away with this within a twinkle of an eye if we decide to do so. The problem of Nigeria is 95% corruption. “Empty head and empty mind can easily succumb to corruption and I know poverty is part of it and in my opinion, let’s solve the problem of corruption”, Yusuf said.